The "Take It!" 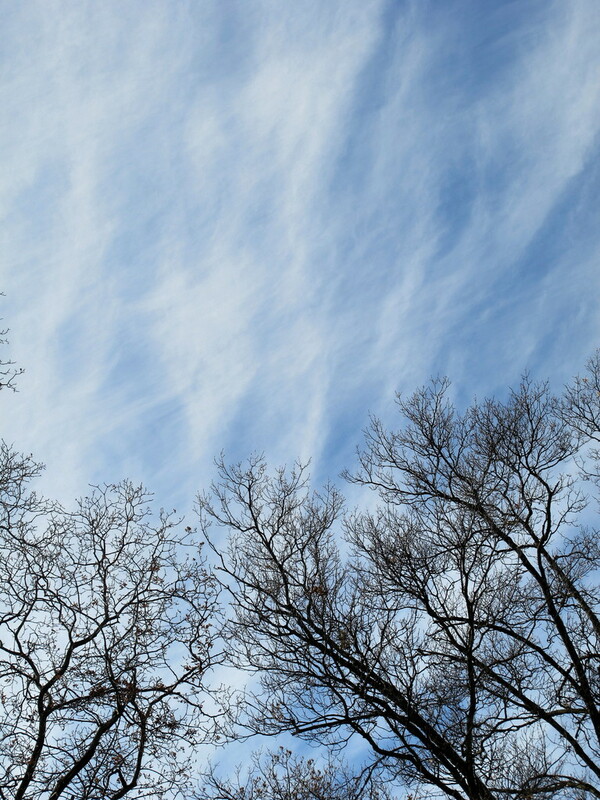 came from the simplicity of the wispy break in a near solid cloud cover. 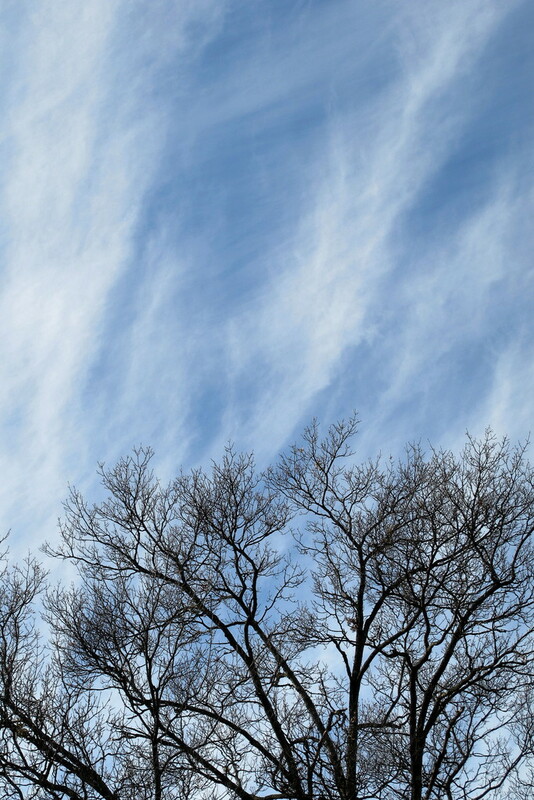 This break was matched up with the leafless trees in my yard which almost gave an impression that the upper branches were tearing holes in the clouds. I must have taken 8 shots of this as was quite caught up in it. The After Take: To those whom I have shown these to and shared my imaginings with ( that part about the branches tearing the clouds ) brought them to share the wonder in it with me. There is a rare opportunity in bringing out my camera and opening up the viewing screen to share an image. The anticipation is always fun to watch as my audience never knows what I am going to show them ,for the variety has proven, (even for me) - to be vast. The shared intensity of focus for me and the person I am sharing it with is complete. I am using every bit of communication ability available to me to explain the nuances attached to the images. Many of my review panel are from other countries with a variety of levels of formal education gathered from their country of origin. I must say regardless of education level - all who want to see my photos are really sharp and have great questions of me. I hope you enjoy these photos for they really were taken on a whim and the wish that they would turn out well. Sharing views and visions via this means, helps me realize, this is a big part of "living the dream" Thanks for your part, in making it happen. I like this shot, very interesting angle. 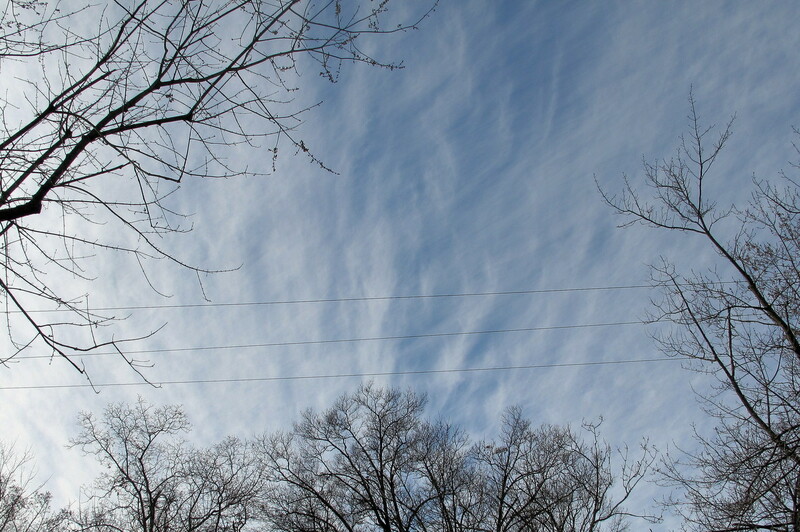 It really does look like the clouds are moving through the trees which is causing the ripple in the clouds.